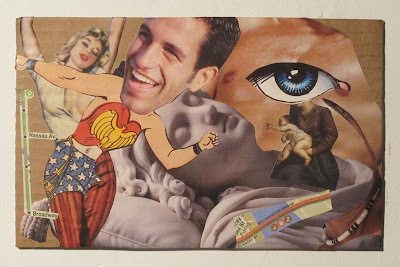 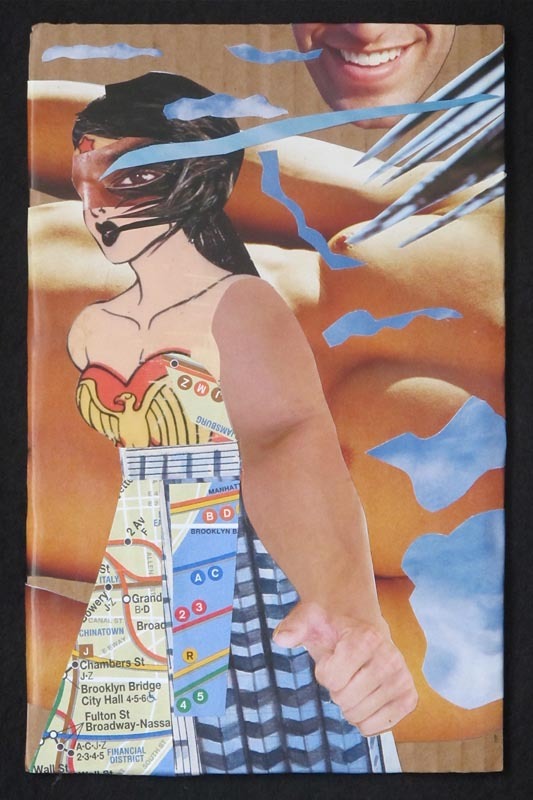 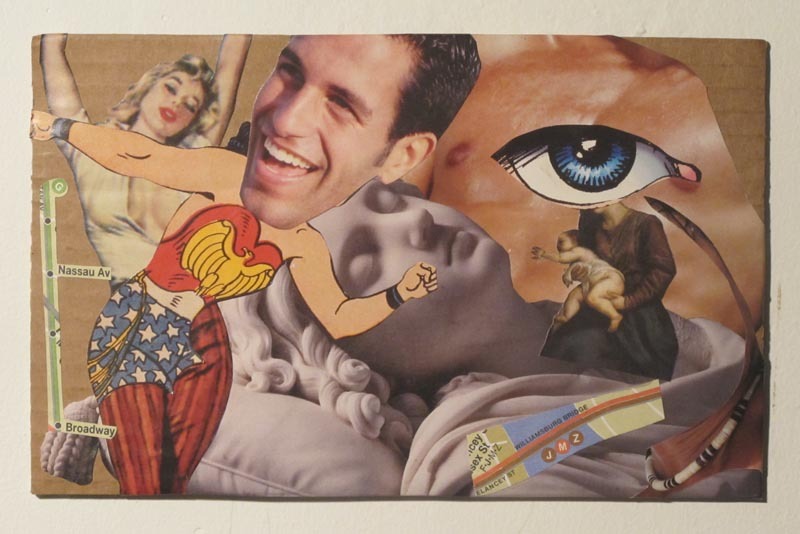 This collage employs 3 cut-outs from the "Hunky Men" 2009 calendar, 2 from the "Wonder Woman" 2010 calendar, 1 from the "Sinful Women" 2011 calendar; 2 cut-outs from January 2011 "Art + Auction" magazine, and 2 from the current NYC subway map. 5 7/8" x 5 3/4". 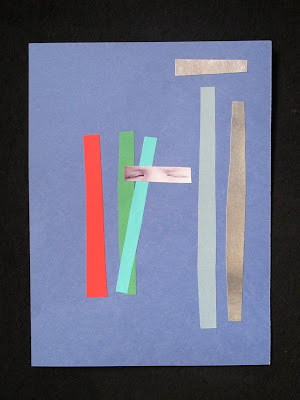 These collages employ a photograph taken of my son by Birgit Krippner, gifted photographer & friend in New Zealand (www.birgitkrippner.com)...this specific photo is very dear to me. 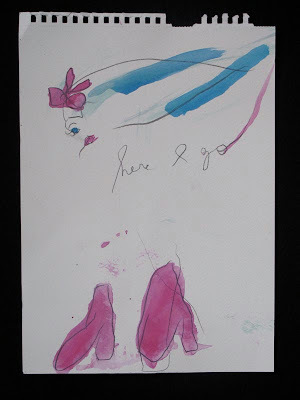 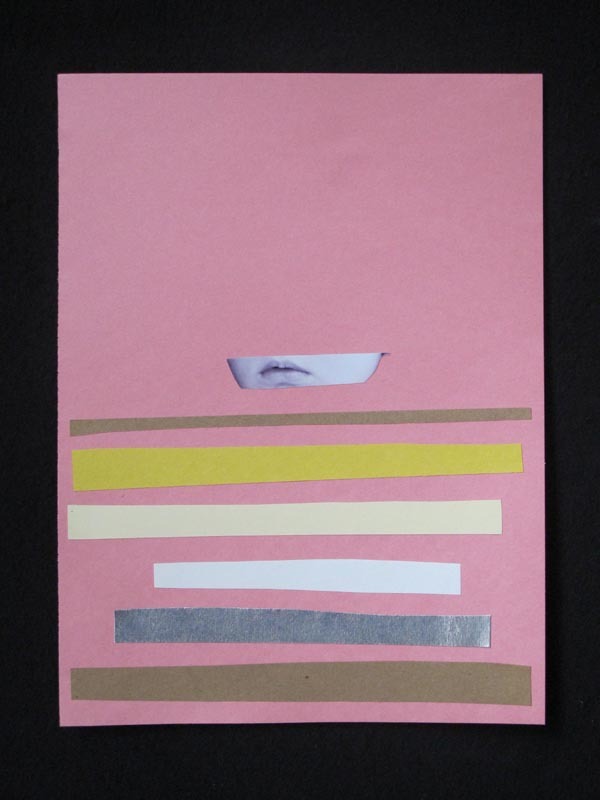 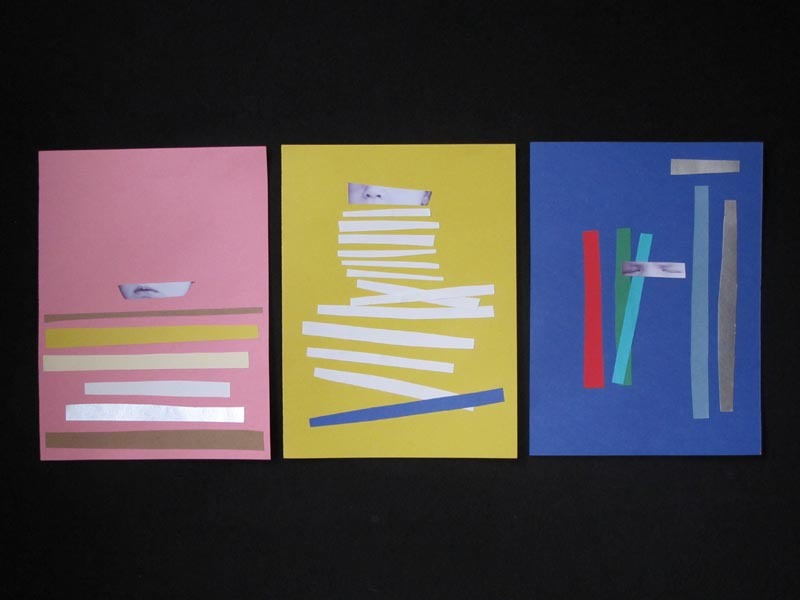 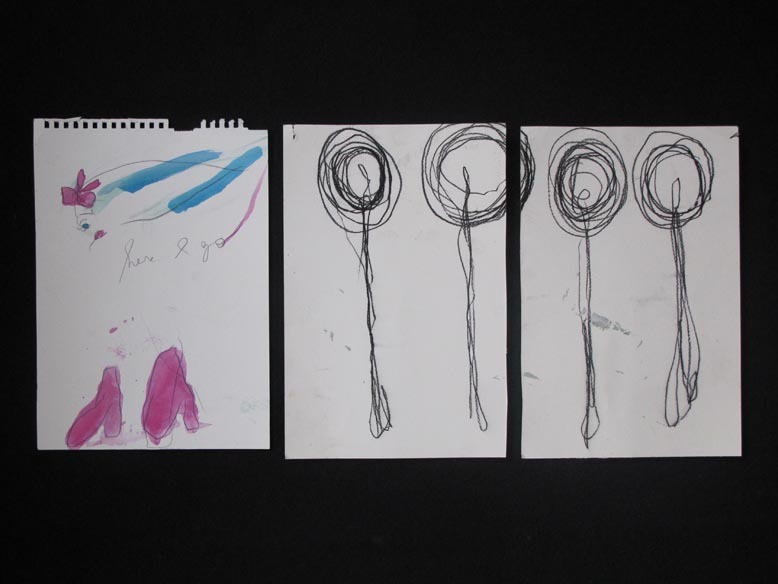 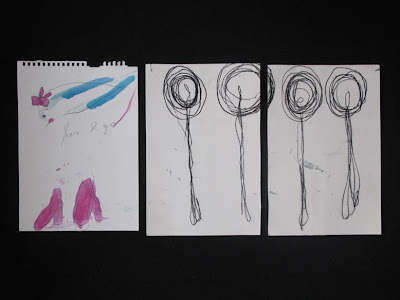 My collages have to do with observing how a baby starts making sense of his or her senses...and started with the pink paper I chose in response to the sensuality I saw in Kim Dawn's "Here I go" watercolor, shown in the previous blog (note eye and mouth in Kim's piece!). 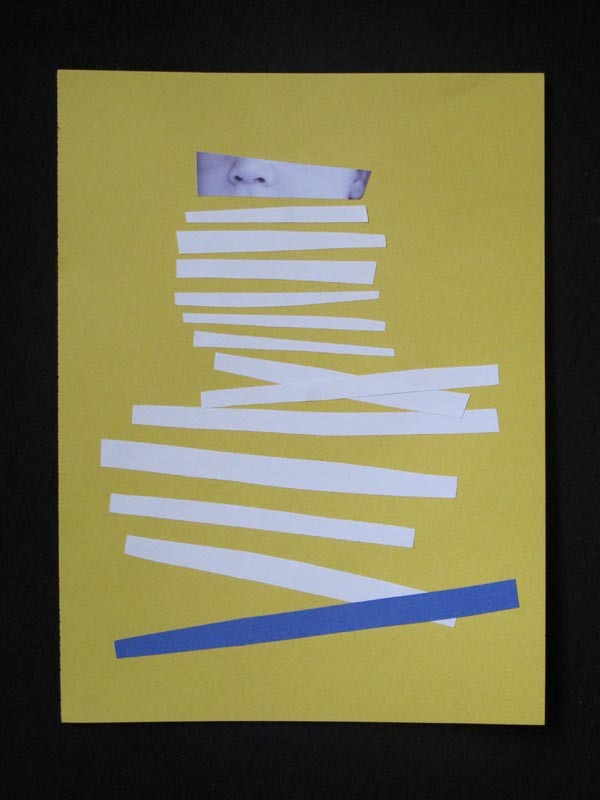 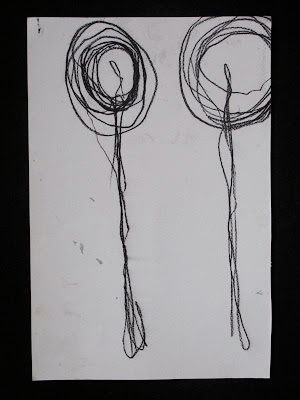 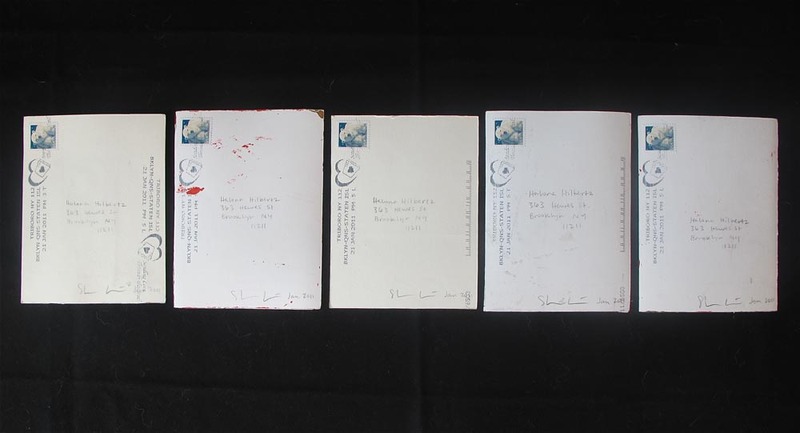 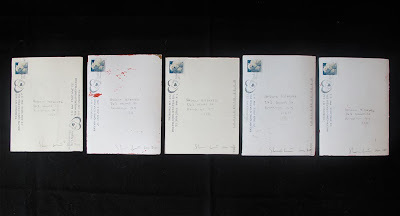 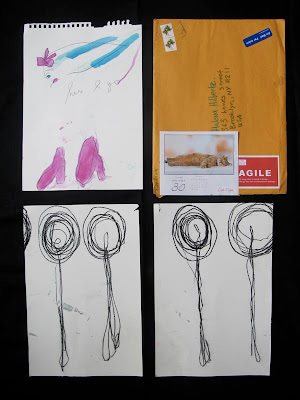 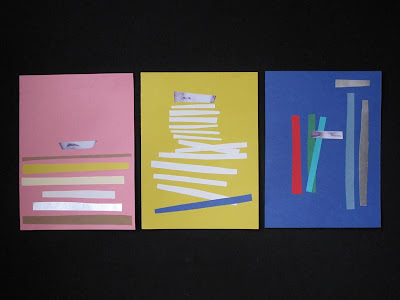 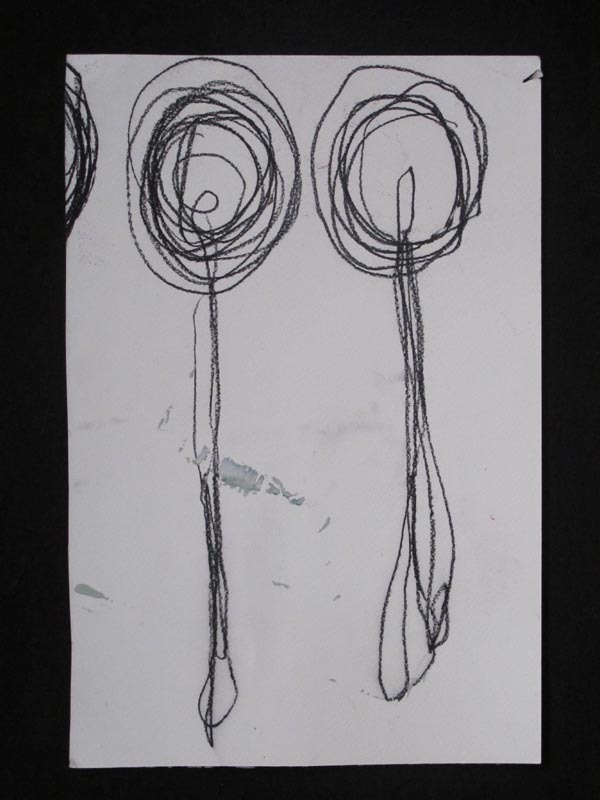 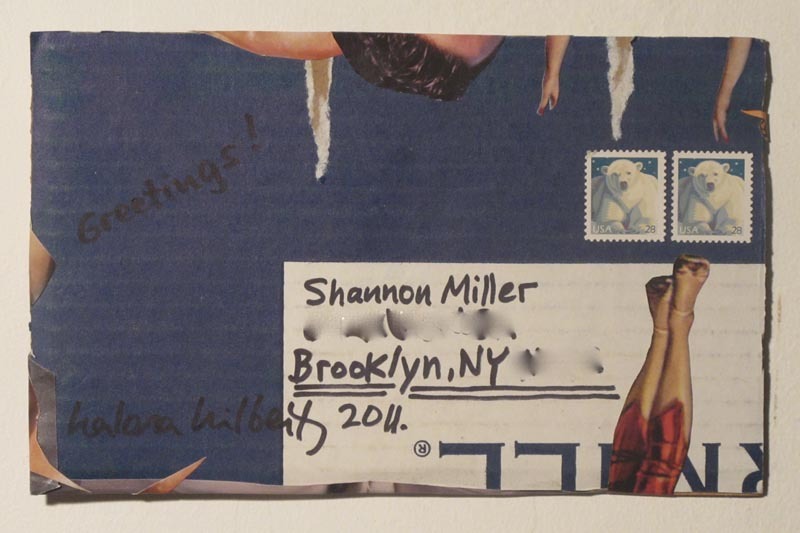 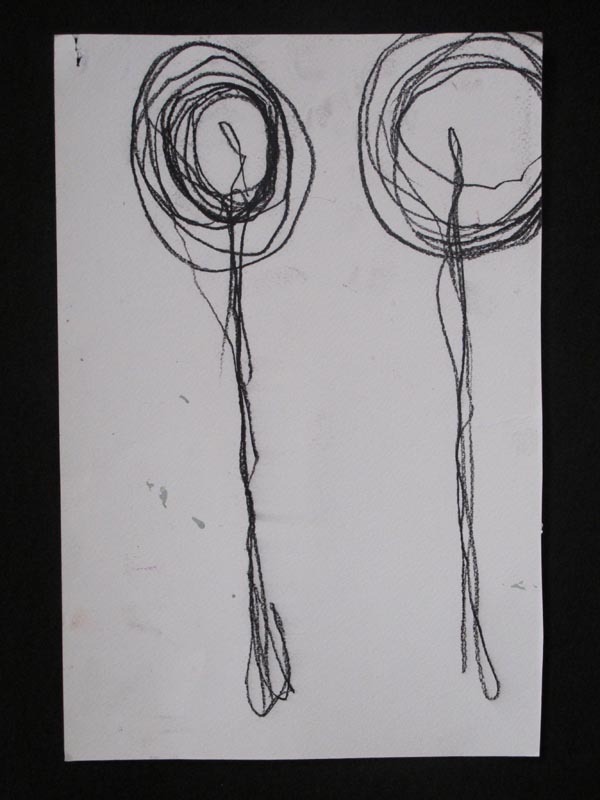 Kim Dawn, a wonderful artist & friend I met years ago at the Nova Scotia College of Art & Design in Halifax, asked if I wanted to repeat something we did when we moved apart: send Mail Art to each other. 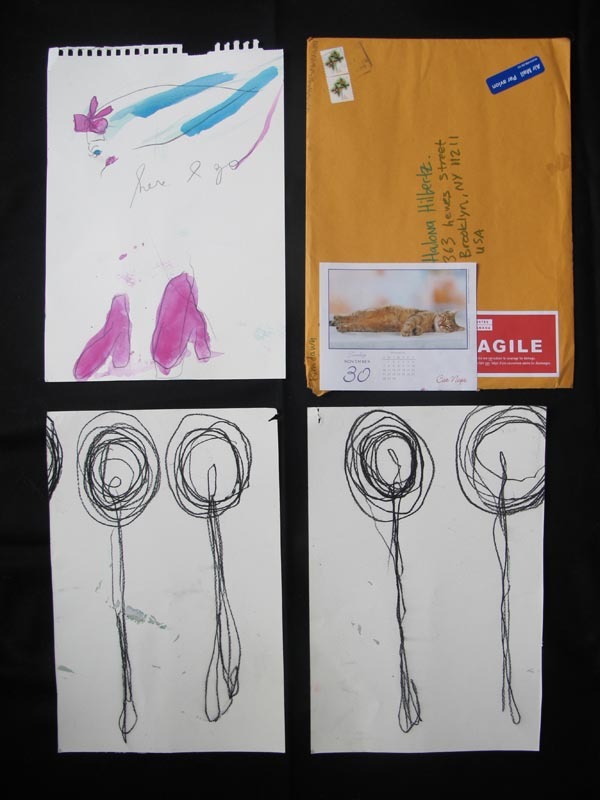 I love the surprising, impromptu back and forth of such an exchange; observing how the other's art informs one's own; having fun sending little pieces on their first travels. 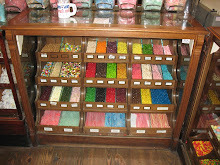 I asked Kim in turn if I could post the outcome on my blog...and here goes with Kim's first mail to me!